More Leads. More Sales. Less Time. Transform your online marketing budget into a well-managed, continually optimized system for lead generation and sales support. No more flying blind. Make it easier for customers to make purchase decisions through a better understanding of the effectiveness of all your online marketing touchpoints. Marketing technology is continually changing and growing in complexity. Advanced capabilities for marketing analytics, marketing automation and testing for optimization are becoming more accessible. Increase revenue while lowering the cost of customer acquisition. Clearly communicate actionable analytics to all stakeholders. Create connections with diverse constituencies through content planning and collaborative workflows that re-purpose content across multiple platforms. Reach the right audience with the right message at the right time. Expand reach with Online Advertising and Search Engine Optimization. Create Calls to Action that deliver your most effective value propositions. Score campaigns and content then optimize for outcomes. Automate email responses to online interactions. Shorten sales cycles and improve e-commerce results. Compare content, offers and landing pages with A/B testing to optimize moments of decision. 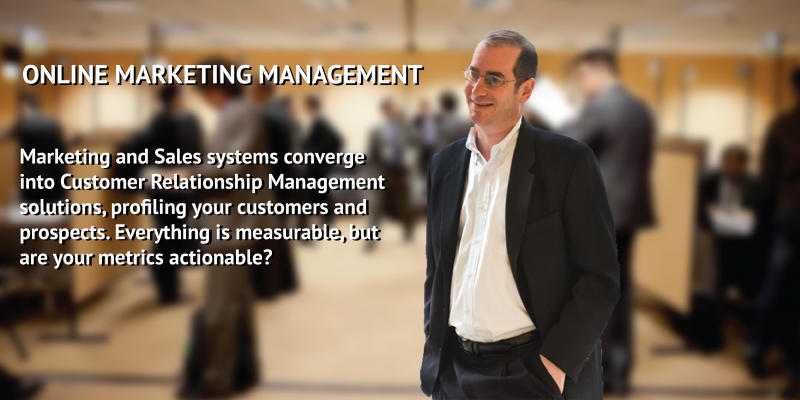 Manage multiple touchpoints for sales support and integrate customer responses into CRM systems. Use Marketing Automation to facilitate follow-up. What Are Spam Referrers? …and how to keep them out of Google Analytics! Google’s Mobile Update: “Mobilegeddon” Over-hyped?